I had just downloaded the Beta version of SU Podium 2.6 and although the HDRI skies are more ment for exterior models I had to try this out. and one with afternoon sky. They're just unfinished models, but it shows the potential of the new SU Podium. I suppose there's going to be a thread dedicated to testing the Beta V2.6? The new IBL (it's image-based lighting, not just an HDRI background ) feature is fabulous! The only drawback is that the images are grainy, to fix them you use the fine AA presets. We have an ongoing debate about the terminology for the new backgrounds. The light source comes from the image, the sun position is not linked to SU. Although it uses an HDR background, you can render to jpg and png, so technically, it's not an HDRI feature at all. I think any reference to HDRI in this context is confusing and misleading. Ha. This is nice. And Big Stick....see, HDRI/ IBL light will be used for interiors. drawovis - the problem with current HDRI/ IBL lighting for interiors is noise, even when you use interior_fine_AA especially on materials with high edge smoothing and lots of bumps. There are ways to lessen the problem interior noise. I'm writing a tutorial where I use a low cost de-noiser from Topaz called AI Clear. This is another $59 bucks and you do need Topaz Studio but I think you can just use the trial of Topaz Studio. 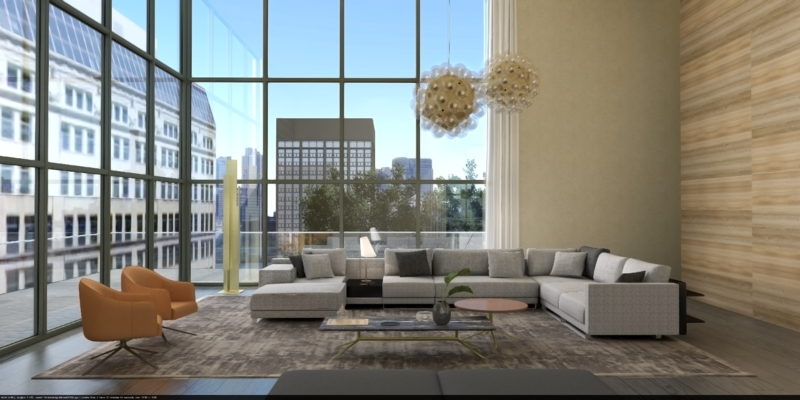 Dave is right that you can use IBL for interiors. 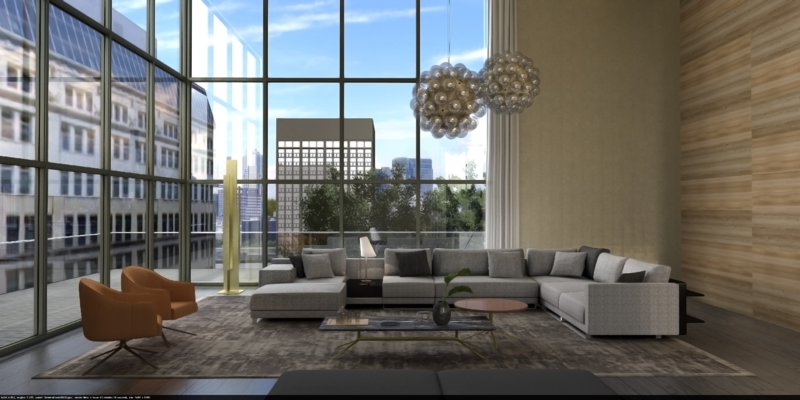 It's particularly useful where you have lots of reflective surfaces and large windows. If you don't have those, it's likely to be less successful. 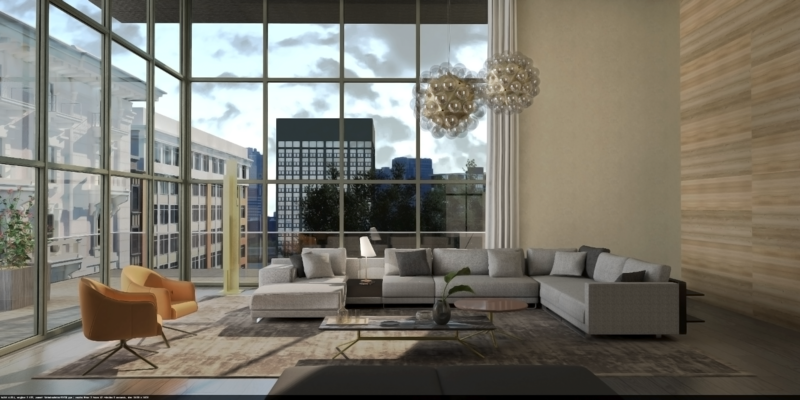 IBL lighting produces a softer light that doesn't seem to be as strong as the direct shadows. This feature alone is one of the biggest advances we have had in Podium for years. It's in many ways a small feature, but the benefits are huge! I'm currently running a render with a Fine_AA preset of the completed model. 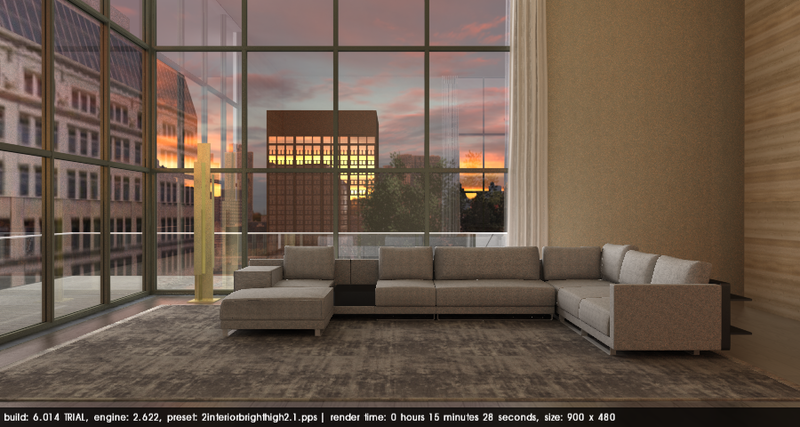 So..here's my IBL interior render. 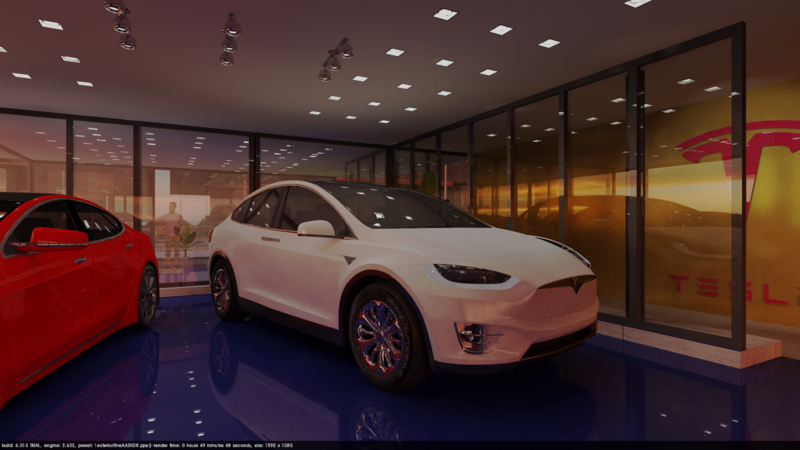 Rendered with the InteriorFineAA2HDR preset. As suspected with noise, but Photoshop can mask the most of it. The back wall has a strange line pattern. 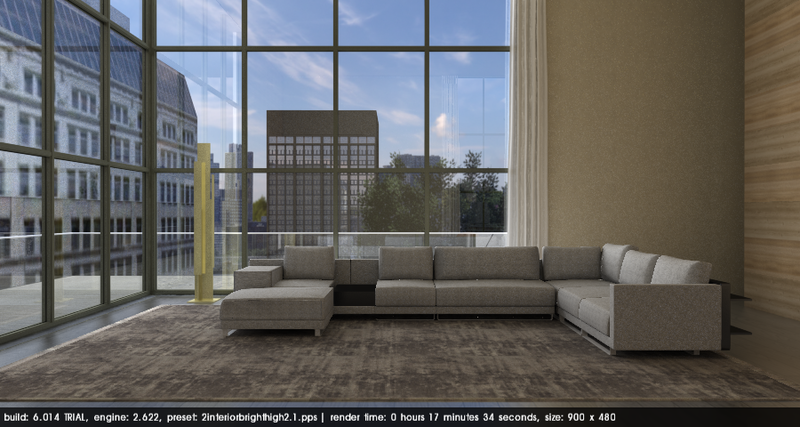 It is fun to try a interior like this with IBL, but the render time is significant. And that is not only because of the IBL settings but not the least the suspended light fixtures... it's based on an icosahedron with on each 20 sides 3 lamps. I tried a test with omni lights in it, but as expected are two times 60 light points somewhat over the top. I will render this scene also with a non-IBL setting. So here's one with interiorBrightdefault2HDR and physical sky. Those light fixtures with all that glass is responsible for the long render time. so here the final on this one. it's done with a sky dome. Wonderful. Where did the building backgrounds come from? most of the buildings are from the Podium Browser.